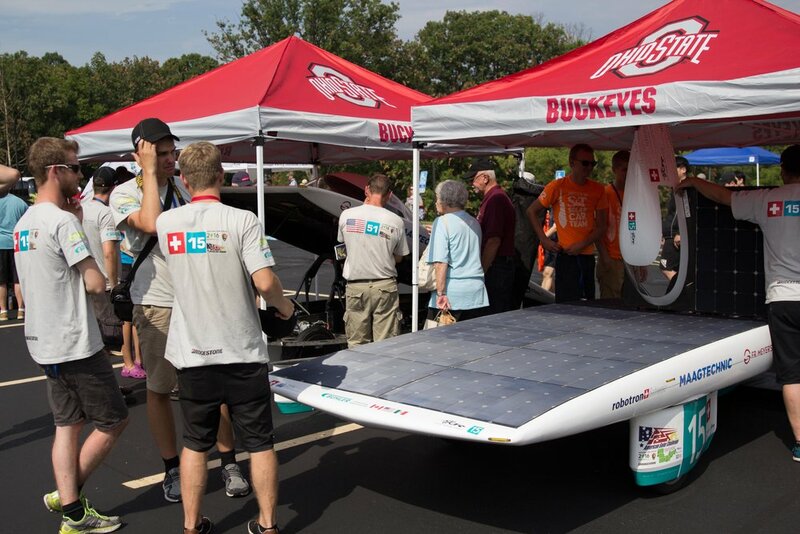 On Friday, the American Solar Challenge hosted an exhibition at the Cuyahoga Valley Career Center. Our team showed up at noon for the team meeting and Formula Sun Grand Prix awards ceremony. 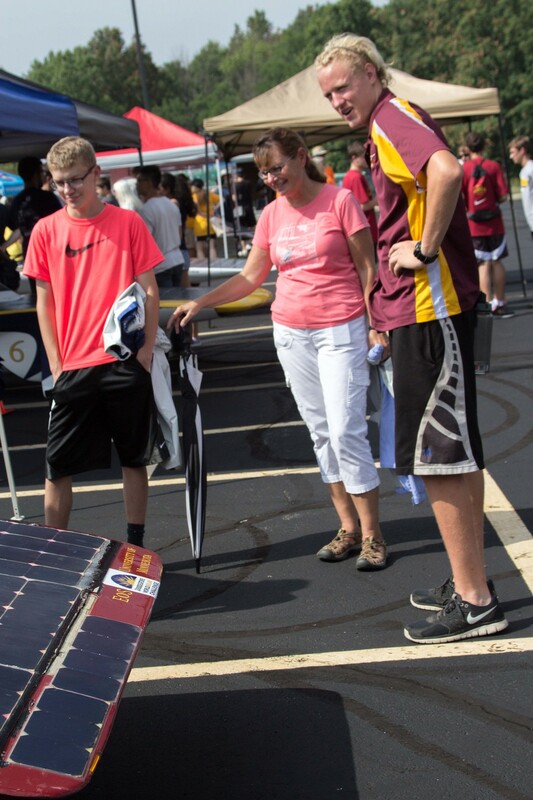 We got to celebrate Michigan, Principia, and Appalachian State's performances and then review the plan for the American Solar Challenge. 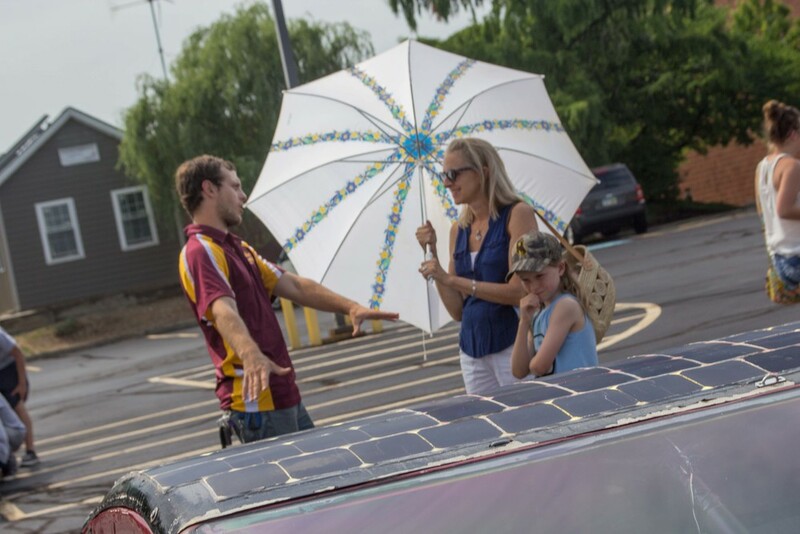 After the team meeting, Minnesota hustled to get their car ready for a group picture, but quickly after we had our car prepared at the location, rain started to pour down on us. With hail predicted, we decided we wanted to get our car back into our trailer for protection. After we promptly loaded our car back into our trailer, we sat out the rain, with many of us drenched from the rain. The rain finally subsided at 3:00 PM, when the exhibition was scheduled to start. We quickly took the group picture, then set up our cars for the visitors. Until 7:00 PM, we had a wonderful time chatting with everyone who came to see the cars about our car and what we do as a group. 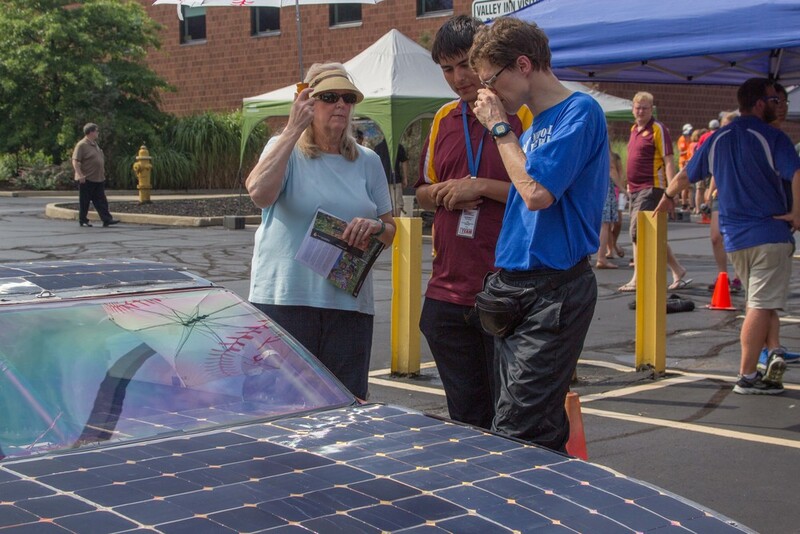 Everyone was really interested in why our car sat two people instead of one like all the other cars in the American Solar Challenge, so we were happy to tell them all about how we are working to make the solar cars more practical. 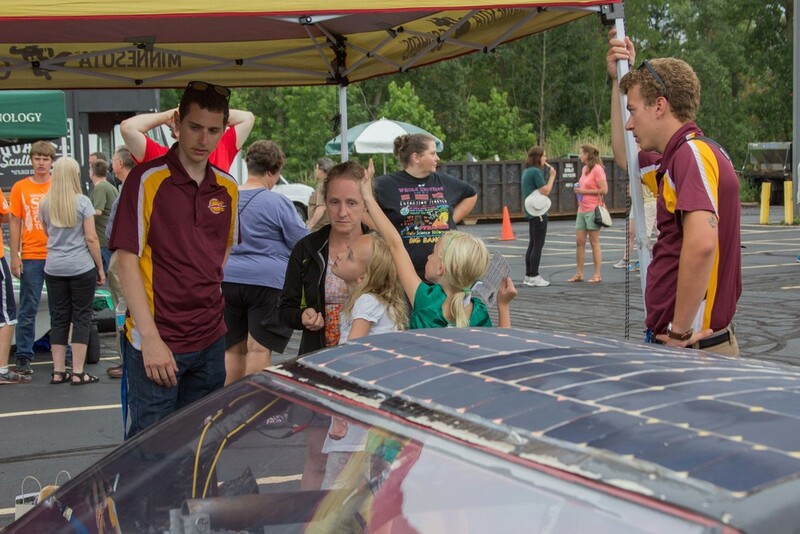 In the 1990s, the American Solar Challenge had a separate class for cruiser cars, but the class disappeared after college teams stopped designing cars for multiple people. The exhibition was a great place to show people that we are leading their return in North America.